In a sign that the world of litigation is sometimes normal. A woman who fell down some subway stairs when she claimed she after being scared of a Dexter poster had her lawsuit against Showtime and New York City dismissed. I’m a klutz and can admit that but one skittish person cannot. 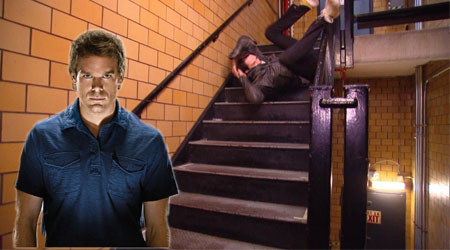 In 2015, Anjanaffy Njewadda claimed the poster of Dexter star Michael C. Hall caused her to panic and fall down the stairs, injuring her foot and ankle. 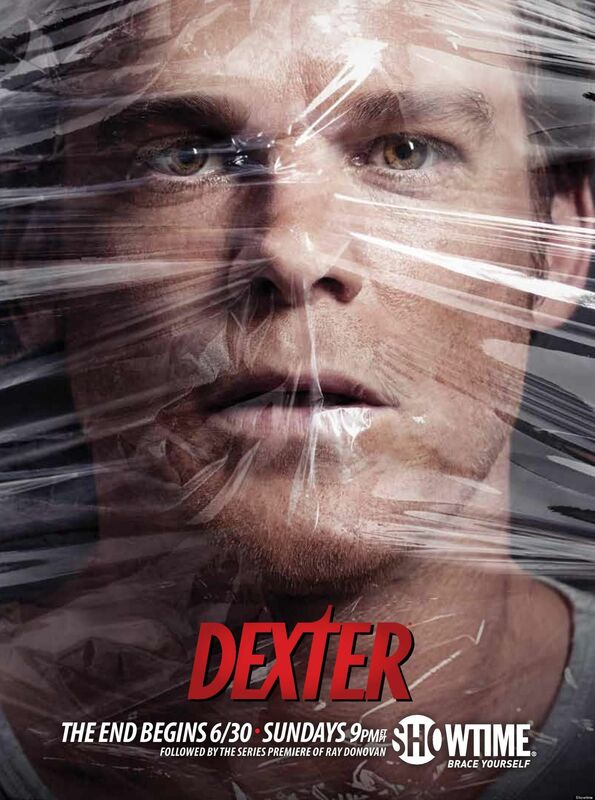 The poster is the famous image of Dexter that can be seen to the right. Njewadda claimed Showtime intentionally and negligently created a hazard by placing a poster that caused the plaintiff “to panic and become fearful, which fright, fear and anxiety caused her to panic and lose her balance on the steps resulting in her falling down the steps to the botto thereof “. She sued not only Showtime but the New York City Transit Authority and MTA. Some four years later and this silly lawsuit was still going on for some reason. Last week the judge presiding over the matter dismissed the case finding that there was no evidence that Showtime or NYC created a dangerous condition. The plaintiff’s reaction to the poster her to call was not a foreseeable consequence of the defendants’ actions. The court further stated, a lawsuit based on placement of an advertisement is not valid. Oh well, so much for this scary lawsuit.